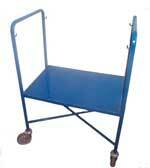 Lift Safe Direct provides a range of laundry & refuse bag trolleys to suit many of different applications. This product is ideal for a single laundry / linen or refuge bags, and is very manoeuvrable on it's 4 x 50 mm swivel castors. Similar in design to the single bag stand with dual hangers to take 2 refuge bags or cloth bags. Load Capacity 150Kg. (Over an a evenly distributed load). 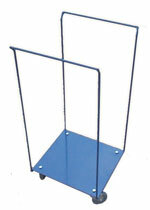 This bag trolley is ideal for laundry / linen use. Load capacity 150Kg. (Over an a evenly distributed load). This product has been designed for multipurpose use but is mostly used in the linen industry as it has P.V.C. sides with Velcro closure. 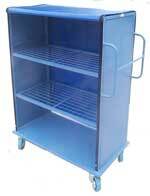 Load capacity 300kg (Over an a evenly distributed load).